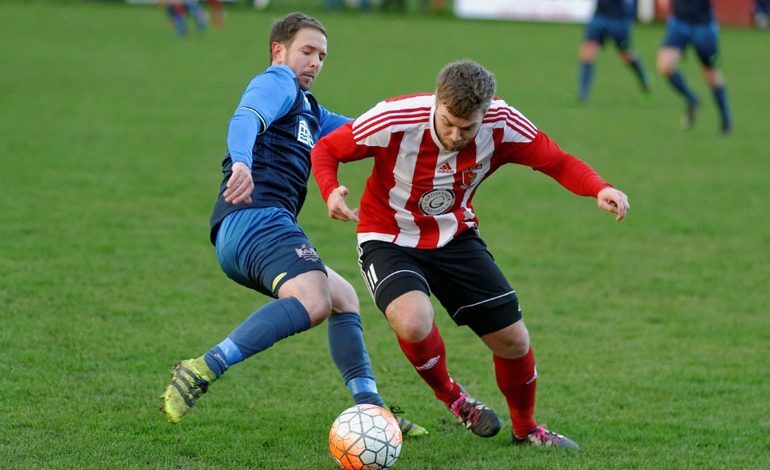 Newton Aycliffe travelled to Ryhope and gained a valuable point at seventh-placed Sunderland RCA. Both sets of supporters were mystified as to how the match ended goalless, as both sides missed many good chances, with RCA the biggest culprits. RCA had the ball in the net after only eight minutes, but this was ruled offside. A minute later Aycliffe man-of-the-match Stuart Banks went on one of his mazy runs and put his shot narrowly over the bar. RCA then hit the bar. Nathan Stephenson had a shot tipped onto the post by home keeper Finch. Aycliffe were having a good spell in the lead up to half-time and Craig Hutchinson and Stephenson both had shots deflected narrowly wide. RCA came out for the second half kicking down the slope and dominated the possession. Aycliffe cleared off their line four minutes in. Two minutes later RCA hit the bar. Aycliffe then put together a good team move which ended with Hutchinson shooting narrowly past the post. On the hour, RCA hit the post and they went on to have further chances, but incredibly the game ended 0-0. Aycliffe’s next game is at home to Jarrow Roofing at Moore Lane Park this Saturday (December 2).